Tomas’ blind son Lucas has what they used to call the shine, so he ought to pay more attention to the lad. Unfortunately, he is not home enough to hear his spooky premonitions. Instead, he is too busy plotting a dodgy scheme that will give him enough money to abscond from his family with his wife’s troubled younger sister. 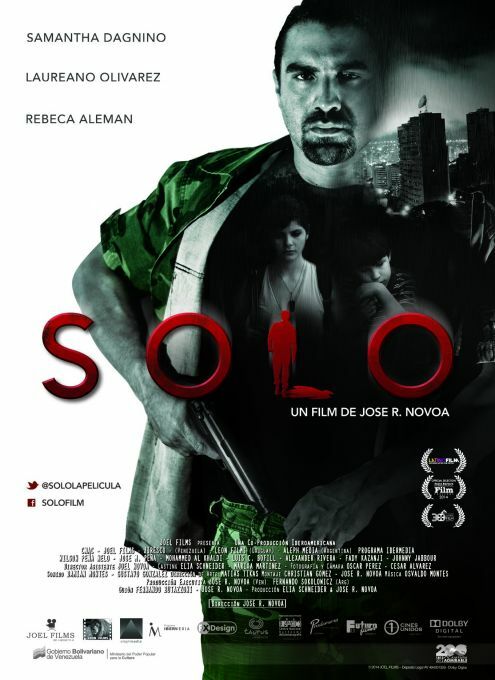 However, you do not need second sight to predict bad things for the half-baked plan he hatches in José Ramon Novoa’s Alone (trailer here), which screens as part of the upcoming Venezuelan Film Festival in New York. Tomas is a junior military officer assigned to the docks. As a result, he knows full well his Colonel is up to his neck in drug trafficking. He is less than thrilled when the Colonel’s people browbeat him into storing a big shipment on his docks, but refusal would hurt his chance for promotion. However, all that illicit merchandise gives him ideas when his sister-in-law Glenda blows back into town. There is a good reason why his wife Teresa is less than thrilled by her return. Clearly, she and Tomas were once carrying on quite the torrid affair. Instead of just picking up where they left off, Tomas would like to start a new life with Glenda. To kick it off in style, Tomas plans to steal the Colonel’s shipment and make his own deal with Yusef, the distributor. Conveniently, Tomas is uniquely well positioned to assemble all the necessary paperwork to facilitate the shipping and handling of a big barrel full of drugs. Yet, he seems to lack the instinct necessary to really pull off a score like this. Alone might sound like your garden variety angsty crime drama, but its third act twist is extraordinarily twisted. There is also a long, tripped out hallucinatory centerpiece sequence that has to be seen to be believed. This is not the film you think you are settling in for, not by a long shot. Still, it pointedly illustrates just how severe karma can be to those who plan to abandon their spouses and children. We’re talking major blowback here. Laureano Olivares is appropriately beefy and weirdly naïve as Tomas. He is human and fallible enough to maintain our interest, but also sufficiently self-centered and impulsive to prevent his woes from causing viewers any serious concern. On the other hand, it is hard to get Samantha Dagnino’s Glenda as a fatal femme fatale, especially given her self-destructive behavior. However, as Lucas, Wilson A. Peña Nelo exhibits a haunting presence that deserved more screen time. At times, Alone is betrayed by its budget constraints, but when Ramon Novoa drops his big climatic shoe, it leaves a mark. It is the sort of film that leaves the audience muttering well after the screening. Indeed, it is completely its own film. Worth seeing for its grubby audacity, Alone screens this Saturday night (9/26) at the Village East, as part of the Venezuelan Film Festival in New York.